Happy weekend everyone! 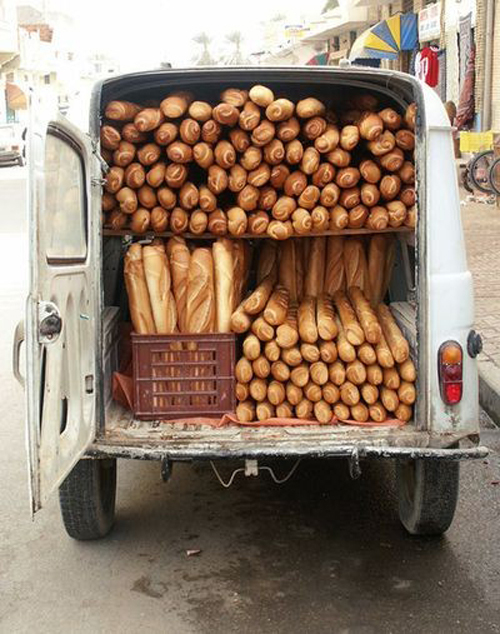 My weekend would be VERY happy if this car full of delicous freshly baked baguettes would stop by our house.. That car must smell wonderful! And now that we are on the subject of baguettes .. 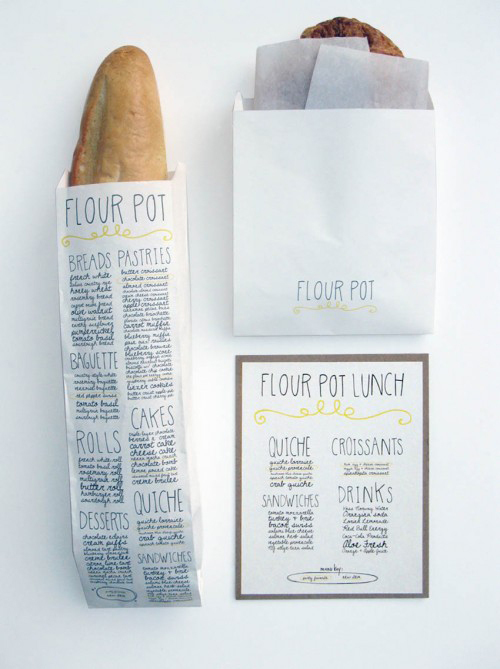 I love the packaging that designer Sara Nicely created for the Flour Pot Bakery. Really neat how so many baguettes can fit into that van!!! I just love them! Haven’t had one in awhile! Oh, I would die right now for such at delightful sight! You can actually smell those baguettes looking at the picture! I love your blog, you have a great collection of pictures! It’s really inspiring!